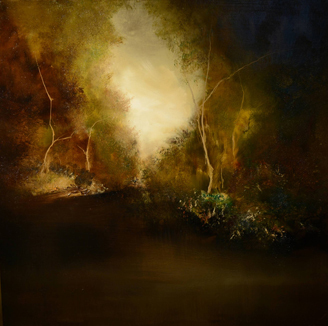 This original artwork is a 2015 oil on oil on panel and depicts landscape and light. 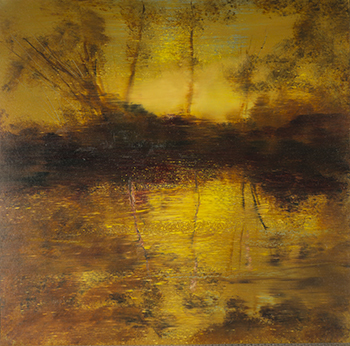 The size of this art painting original is 10 x 10 in. 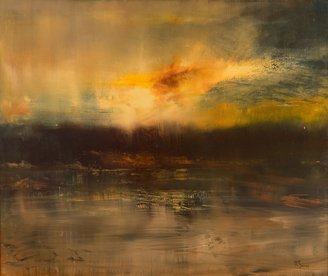 Fog 4 by Maurice Sapiro is a delicate portrayal of light reflecting on a lake, with fog passing through and foliage over the shore. 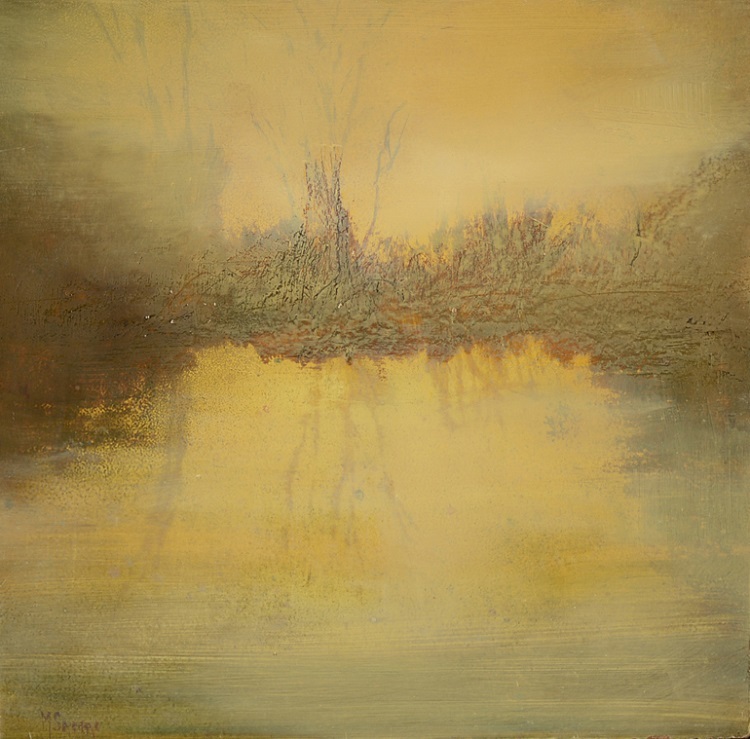 This painting contains mainly hues of yellow and gold.